Every Tuesday night, James Borgesi returns to Eagleville to talk with patients in different units. James knows intimately what it feels like to keep returning to recovery. Now at age 35, he’s remained sober for the longest stretch in 22 years. His teenage years were the beginning of his struggle with drugs. When James’s parents passed away when he was 13, he began experimenting with ecstasy and marijuana on the weekends. Following a car accident, he was prescribed OxyContin, and soon after, he was using Percocet as well. In 2010, James was arrested for what he describes as “doctor shopping” and was sentenced to 52 months in prison. Within six months of his release, he was introduced to heroin and crack cocaine. His life became a vicious, relentless cycle interrupted only by stints in jail. Every day, there was only more urgency to use. In the four days leading up to his second entry to Eagleville, he overdosed three times and, by his estimate, was given NARCAN, a medication that blocks or reverses the effects of opioids, a dozen times. Both rounds of inpatient treatment James had at Eagleville were ordered by the Montgomery County Drug Court. Though he didn’t enter treatment on his terms, he was resolved to not waste what could have been his last and best opportunity to truly recover. 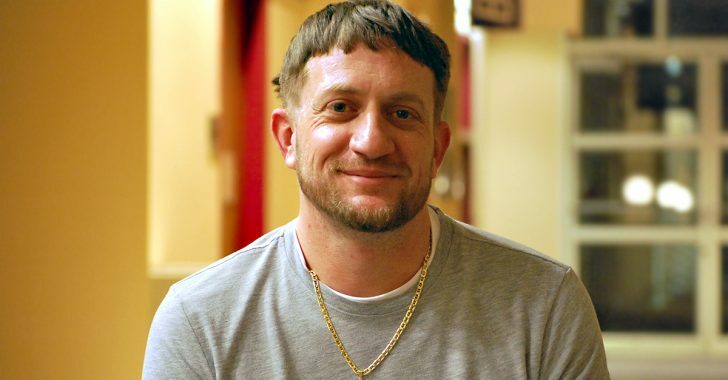 James spent 70 days at Eagleville “putting forth the effort, listening, taking suggestions.” He gives much of the credit for his reversal to his Eagleville therapist, who herself has 22 years in recovery. They continue to talk, or at least text, just about every day. The ongoing hope of recovery may be one of the reasons he returns once a week to talk to patients. It also fuels his work as a sous chef, which requires him to take seriously the immense responsibility of running a restaurant kitchen.